Xiaomi, fondly known as the Apple of China has just launched a new Android One smartphone called "Mi A2", and didn't disappoint in the device Specifications. In fact, it's actually an upgrade of last year's Mi A1. 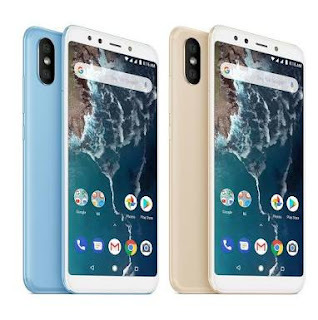 Also called Mi 6x, Xiaomi Mi A2 features a 5.99-inch FHD+ 18:9 display, powered by Snapdragon 660 processor and comes with a 12-MP rear camera with f/1.75 aperture, using Sony IMX486 sensor along with a 20-MP secondary rear camera with Sony IMX376 sensor to capture depth information for portrait shots with AI. The camera has intelligent scene detection as well as auto sensor section. At the front, there is also a 20-MP Sony IMX376 sensor with soft LED flash and AI beautification features. In terms of phone memory, the Mi A2 smartphone uses 4GB +32GB/64GB, 6GB+128GB onboard memory, housed by a 3010mAh battery capacity. In this post, I have outlined all the specifications of the phone as well as the current market price for those of us that are interested in buying it from any part of the world including Nigeria, India, United States, South Africa, UK etc. SEE ALSO: How To Know If Your Xiaomi Phone Is Eligible For MIUI 10 Update. 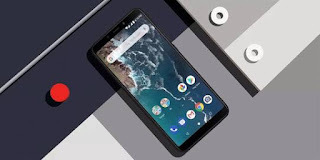 HOW MUCH IS XIAOMI MI A2? ✔️ The 6GB Ram + 128GB storage version is priced at $408 USD (NGN 145,000). What's your take on this device?